The Ethiopian Airlines has dismissed reports that the pilot of the Boeing 737 MAX that crashed on Sunday, March 10, killing all 157 people on board, was not trained on new simulator for the aircraft. 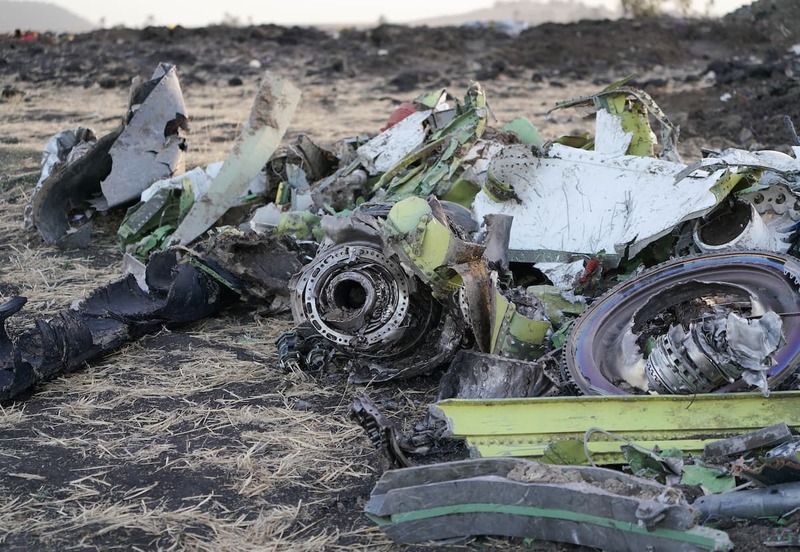 Recall that a source, disclosed that the captain of the crashed Ethiopian Airlines flight did not practise on a new simulator for the Boeing 737 MAX 8 before the plane went down, killing everyone on board. According to Reuters, the pilot identified as Yared Getachew, was due for refresher training at the end of March. Legit.ng gathers that the Boeing 737 MAX, which is a narrow-body aircraft series, is designed and produced by Boeing Commercial Airplanes. It has a new automated system called MCAS (Maneuvering Characteristics Augmentation System). The feature is meant to prevent loss of lift which can cause an aerodynamic stall sending the plane downwards in an uncontrolled way. In a tweet on its official Twitter page, the Ethiopian Airlines said: "Ethiopian Airlines said its pilot completed the Boeing recommended and FAA approved differences training from the B-737 NG aircraft to the B-737-8 MAX fleet to the Ethiopian operation and before they start flying the B-737-8 MAX." According to Boeing Commercial Airplanes, airlines were given guidance on how to respond to the activation of MCAS software. Legit.ng previously reported that Ethiopian Airlines flight en-route to Nairobi from Addis Ababa, went down with more than 140 passengers on board. The ill-fated aircraft crashed on the morning of Sunday, March 10, at around Bishoftu (Debre Zeit). Confirming the fatal accident, the Office of the Prime Minister of Ethiopia, Abiy Ahmed, expressed their deepest condolences to the families and friends of those who lost their lives in the Sunday morning crash. A statement shared on the PM's official Twitter page read: "The Office of the PM, on behalf of the Government and people of Ethiopia, would like to express its deepest condolences to the families of those that have lost their loved ones on Ethiopian Airlines Boeing 737 on regular scheduled flight to Nairobi, Kenya this morning." In another previous report by Legit.ng, the Senate during its plenary on Tuesday, March 19, took some moments to mourn the two Nigerians who lost their lives in the Ethiopian Airlines crash. The motion to mourn the late nationals was moved by Senator Gbenga Ashafa of the All Progressives Congress (APC). In his motion, Ashafa said: "Both Nigerians that lost their lives in this unfortunate air disaster, are individuals that have distinguished themselves in their fields and till their deaths remained worthy ambassadors of the country in the Diaspora."